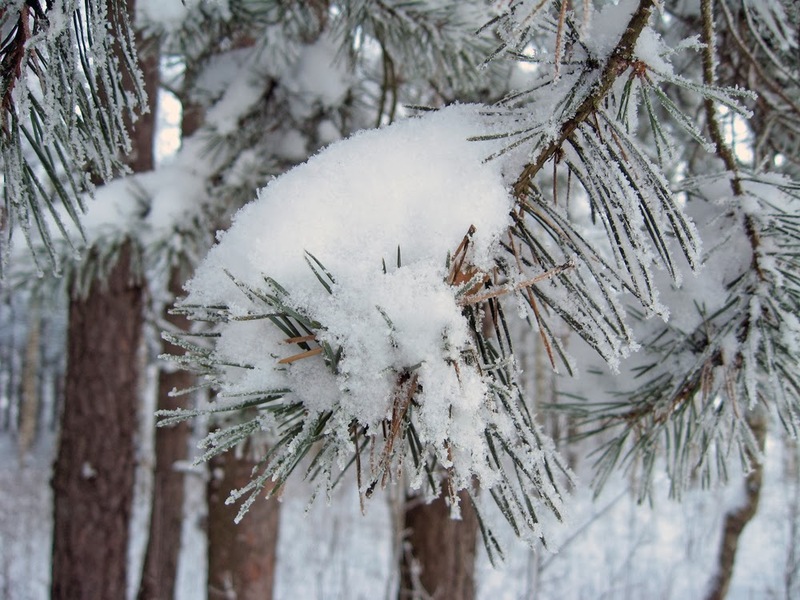 Nothing says Christmas like a snow-covered pine bough. We’ve seen lots of the white stuff so far this year, which is a little unusual for our region. But it does give my Christmas spirit a boost. I hope your holidays are filled with family and fun this year. And remember, the important gifts don’t come in boxes. Time. Touch. Sound. I know there are times when family can’t be physically together for the holidays. It’s those times that you can still take time to call or skype. Hearing a loved one’s voice from far away can make the holidays so much brighter. God bless you and your family with the most important things in life. 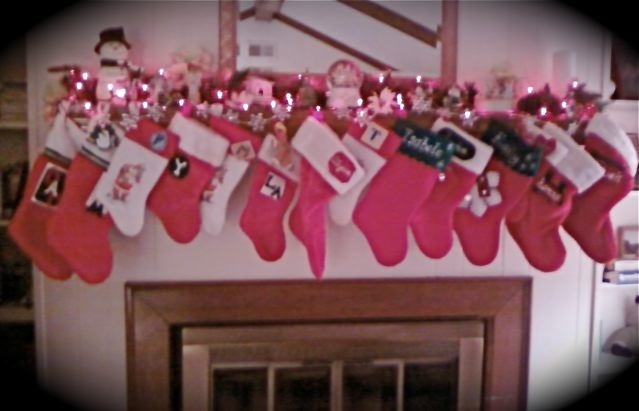 Now, I need to go hang up my stocking and put a pan of cookies in the oven while I watch my favorite Christmas movie. Thanks for stopping by. And don’t forget to buy books! If the snow has you housebound, here’s a couple of Kindle suggestions for you. Happy reading! 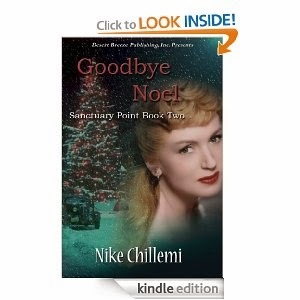 Nike Chillemi’s Goodbye, Noel, Write Integrity Press’ A Ruby Christmas (various authors), and The Christmas Tree Treasure Hunt (various authors). 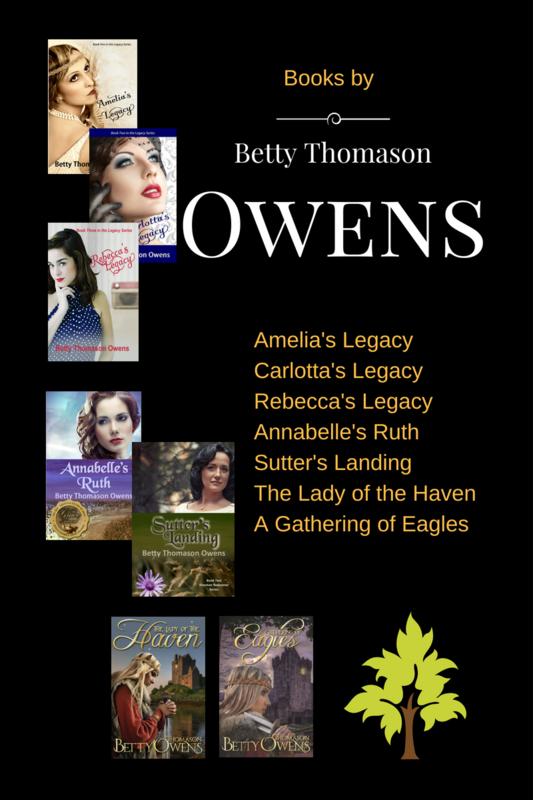 Those last two are novellas and so much fun! By the way, these are not paid links. I do not receive any payment for these suggestions. I’m so glad you stopped by today. It is with great pleasure I welcome Nike Chillemi as a guest writer. I am so honored to promote her latest release, Goodbye Noel. As you may have guessed, it has a holiday theme. 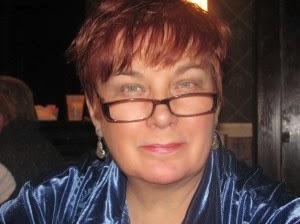 Nike writes historical suspense/crime novels and she’s such a good storyteller! If the reviews (found here) are any indication, this one doesn’t disappoint. In popular publications we’ve been told umpteen times the first “Christmas” celebrations came from the mid-fourth century during Constantine’s rule in ancient Rome and were adopted and adapted from solar pagan rites. This is not entirely accurate. There is evidence the Ethiopian Church celebrated the birth of Jesus on December 25th in the 2nd century. Other Eastern churches in the second and third centuries determined the birth of Jesus to be January 5th or January 6th. The Eastern Church still celebrates the birth of Jesus on January 6th, while in the Western Church that date is Epiphany. These December 25th calculations came wholly from church history and heritage (much of that oral). This was before and separate from the papacy decision to declare December 25th the birth of Jesus for conversion reasons. The second century Egyptian theologian, Clement of Alexandria, wrote that ancient Egyptian church scholars practically tried to outdo each other with efforts to pinpoint the date of the birth of Jesus. They also came up with April 20th or 21st and May 20th…all of this having nothing to do with Roman paganism. Is December 25th the actual birthday of Jesus? I don’t know. To me every day is Christ’s birthday. It’s true worship of the oak and other trees were quite common in pagan Europe. However, the modern Christmas tree originated in Germany where legend has it St. Boniface cut down a great oak under which human sacrifices were made. Supposedly, in its place a tiny pine sapling grew the following spring and Boniface remarked it pointed to the heavens. That autumn he dug up the small tree and brought it into his house to have for Christmas. Many claimed these trees’ triangular shape signified the Father, Son, and Holy Spirit. The custom of a potted fir tree in the house at Christmas rapidly spread among Germanic Christians. 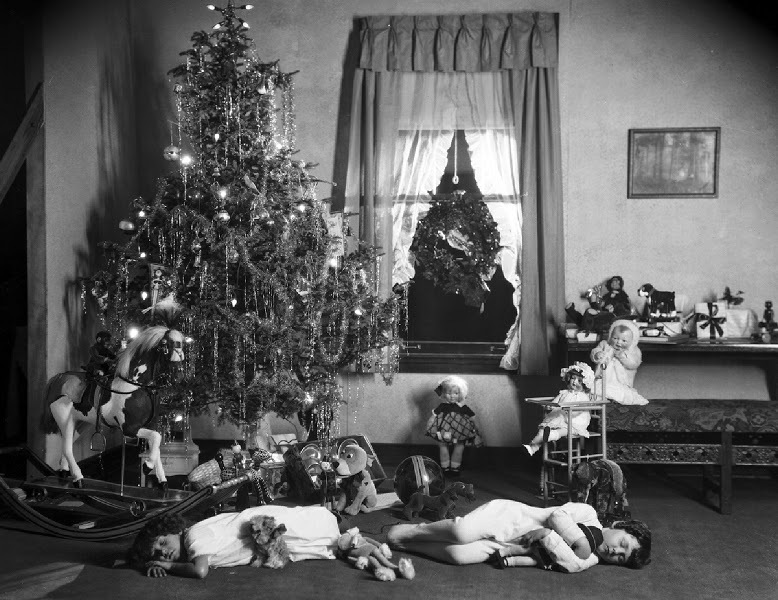 In time they began decorating trees with bits of sugar candy which they gave to children on Christmas day. That tradition soon evolved into candy canes on tree boughs. Soon other gifts such as dried fruit and small bits of jewelry found their way onto trees. Then in the 17th century, on a walk home from church late one night before Christmas, Martin Luther passed a grove of evergreen trees. When he looked up, it seemed as if the stars adorned the trees. He immediately cut and decorated a tree with lit candles for the Christmas Eve service. Cut and candle-lit trees quickly spread among Germanic Christians. 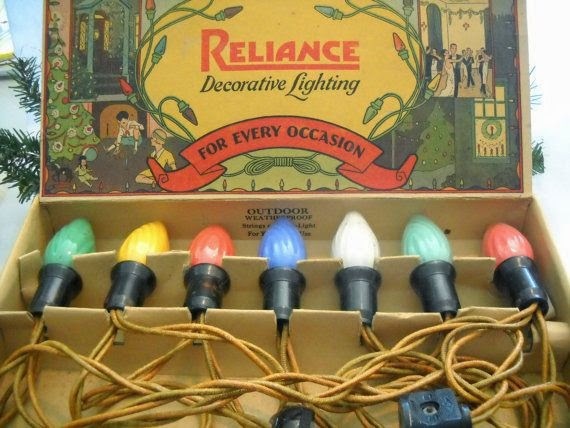 When Germany’s Prince Albert married the love of his life, the young Queen Victoria, he brought to England the practice of decorating the Christmas tree with candles, candies, fancy cakes, small gifts, and toys. 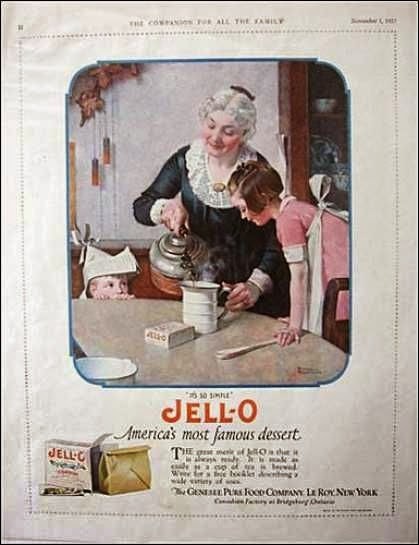 German immigrants brought this to Pennsylvania in the 1800s and the custom rapidly spread across America. Eggnog is entirely American. While it’s true Europeans of wealth enjoyed eggy-milky drinks with fruit. The first true batch of eggnog was mixed up in 1607 at Captain John Smith’s Jamestown settlement. At that time it was called “egg and grog.” I’m sure we can all imagine what the ingredients were, as colonists called any drink with rum grog. It soon became a drink given to carolers at Christmas along with sweet meats and confections. What about ye olde fruit cake? Cakes with fruit have been baked, well…as long as cakes have been baked. 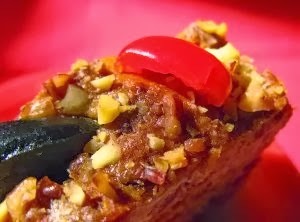 What we think of as the fruit cake, made with preserved fruit and nuts goes back to the middle-ages and the Crusades when people took this type of hearty cake on trips to sustain themselves while away from home. The British love affair with fruit cake began in the 1400s when dried fruits first arrived in the misty isles from the Mediterranean. In the mid-1800s cake with candied fruit had become a Victorian tea cake. It also became a cake served at weddings. Naturally in a time before fruit could be flown to markets from orchards and groves in a warm climate, the candied fruit cake made a perfect Christmas cake. In modern times it seems not to be as popular as years gone by, but fruit cake sales are still surprisingly high. Whether you’re looking for a good holiday read, or the perfect gift, Nike Chillemi’s Goodbye Noel is a good fit.